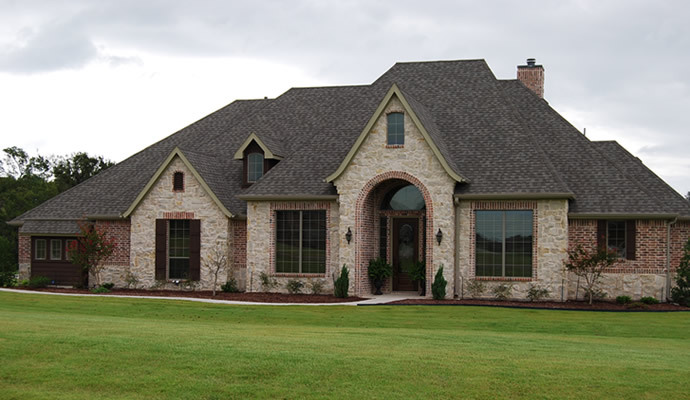 Cornice: The overhang of the roof at the eaves line that forms a connection between the roof and the sidewalls. 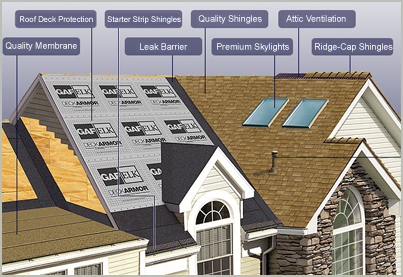 Felt/Underlayment: A sheet of asphalt-saturated material used as a secondary layer of protection for the roof deck. Flashing: Pieces of metal used to prevent the seepage of water around any intersection or projection in a roof system, such as vent pipes, chimneys, valleys, and joints at vertical walls. Penetrations: Vents, pipes, stacks, chimneys – anything that penetrates a roof deck. Slope: Measured by rise in inches for each 12 inches of horizontal run. Truss: Engineered components that supplement rafters in many newer homes. Trusses are designed for specific applications and cannot be cut or altered.